Your tax obligations aren’t always clear. For new business owners, making sure everything is completed, compliant, and submitted on time can be stressful and leave you open to avoidable penalties. To ensure all your taxation requirements are met to the highest possible standards, look no further than the team at Keith Willis Associates. 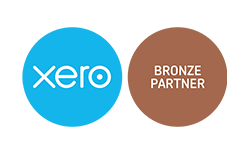 As expert chartered accountants who work with small and medium-sized businesses in Nottingham, we provide a range of taxation services to keep your business in the best possible shape. We aim to deliver the most efficient service possible to our clients. Whether you require a personal tax accountant, or someone to look after the tax obligations for your business, we operate a driven, personable service to ensure nothing is left to chance. For full peace of mind, you’ll have an account manager available to speak to should you ever need any extra information, updates or clarification. Our tax advisors will be on hand to answer your tax questions. At Keith Willis Associates, we are always here for you. To enlist the services of one of Nottingham’s leading chartered accountants, get in touch with our friendly team today.